The chill in the air has us wanting comfort food. And while I have a great list of “old standbys” that we absolutely love, both Ryan and I were in the mood for something different. So we grabbed the cookbooks for inspiration. Imagine my surprise when I suggested a sauerkraut based meal, and he agreed that it sounded good! Well, I didn’t end up cooking the sauerkraut meal that night. 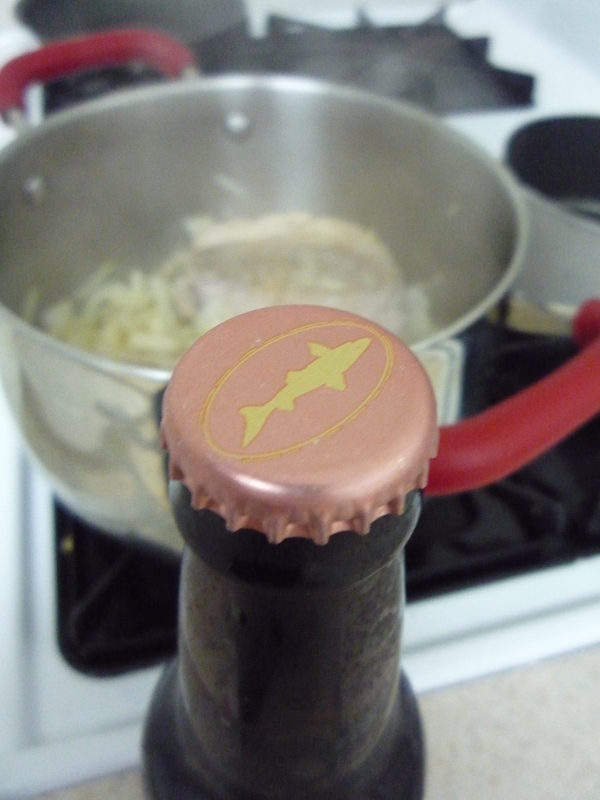 But we did pick up a six-pack of Dogfish Head Indian Brown Ale, our new favorite beer. The second I took a sip I knew that this beer just HAD to be cooked into my kraut. 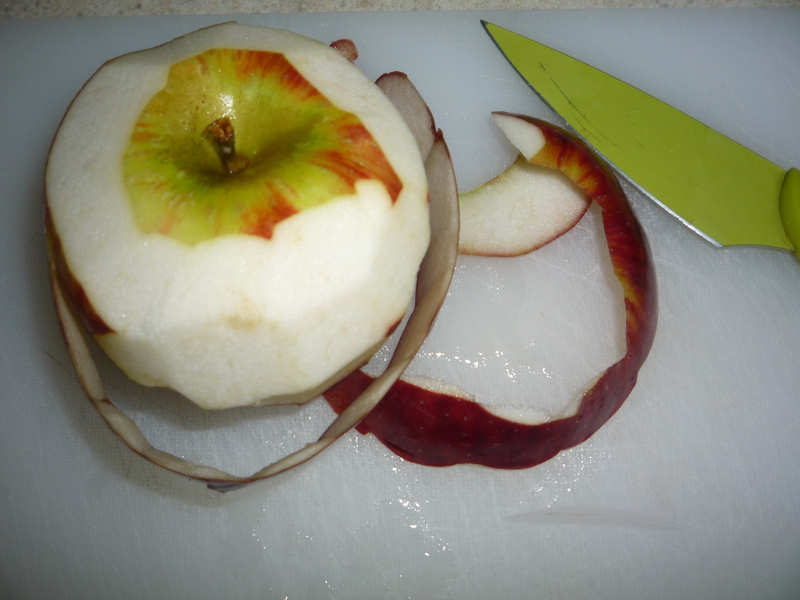 The cookbooks had told me that I would also need to incorporate apples into my meal, so I picked up a delicious looking Cortland. 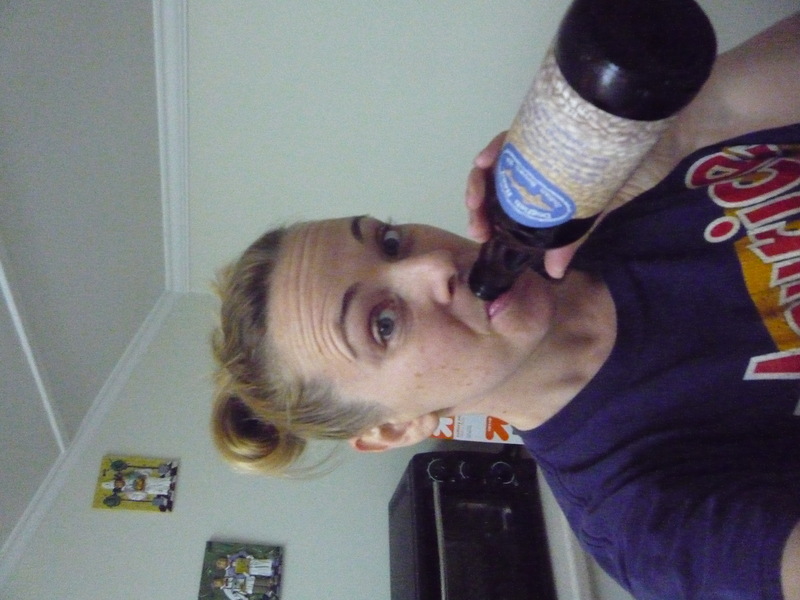 The best part of this recipe, it only calls for 1/2 the beer, so we get to drink the rest of it! The second best part of this meal, the pork is so amazingly tender and loaded with subtle flavors. Absolutely no knives required! I served some fresh buttery mashed potatoes on the side, and it was perfection. 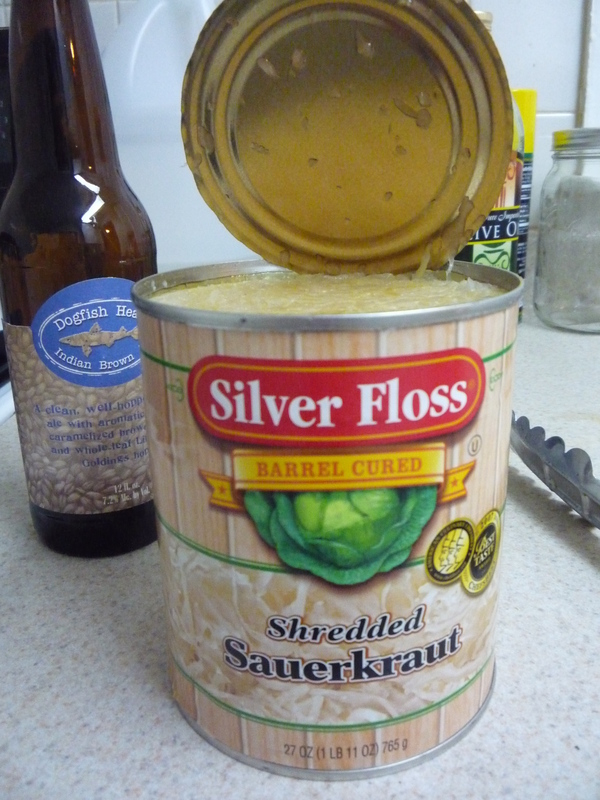 I know that for some people sauerkraut may be a little too far out of their comfort zone. I implore you to give this recipe a try. 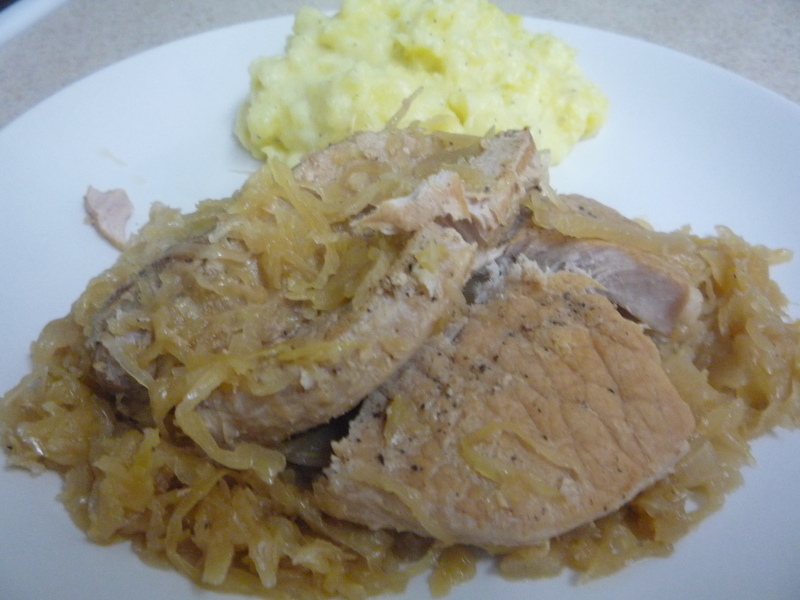 Even if the kraut is too much for you, I promise the flavor of the pork is worth every second of the cooking! 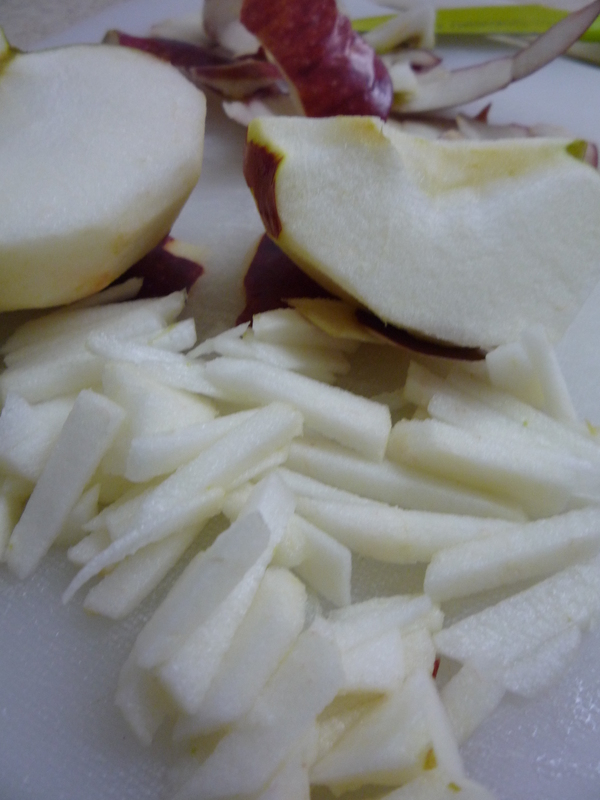 This entry was posted in Recipes and tagged apples, beer recipe, cold night, comfort food, dinner, dogfish head, food blogger, German, main course, mashed potatoes, pork, recipe, sauerkraut by reneeh. Bookmark the permalink. Oh my, this is comfort food. I love it. Haven’t head sauerkraut for years but looking at this recipes it makes me want to have it so bad. Nice work! I haven’t had that DFH beer but the description makes me think you had the right foods to put with the combination of malty and hoppy flavors in the beer. I watched all the episodes of BrewMasters yesterday and was inpspired by the Grain to Glass cedar ages brew to add that as my 4th batch of beer I plan to do in 2011. Need to grab some more DFH varieties for inspiration! I love pork and sauerkraut, but I use pork sausages in mine. P&S is the classes New Year’s Day dish in Lancaster County, PA, where I grew up, so it holds a special place in my heart! I didn’t make it this year, but will before the month is out! Hound- It is funny because after making this I talked to several people who told me the same thing about it being a traditional New Years Day dish! Who knew! 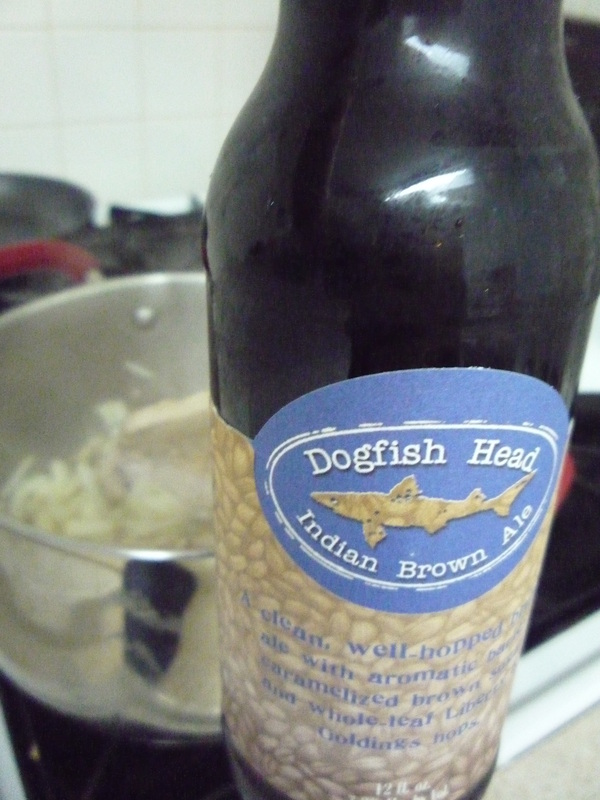 I saw your tweets about cooking with the beer, and I was curious! This looks like a great meal and makes me wish we had beer in the house. . .
Love love love sauerkraut! I also love red kraut which is much sweeter than regular white. 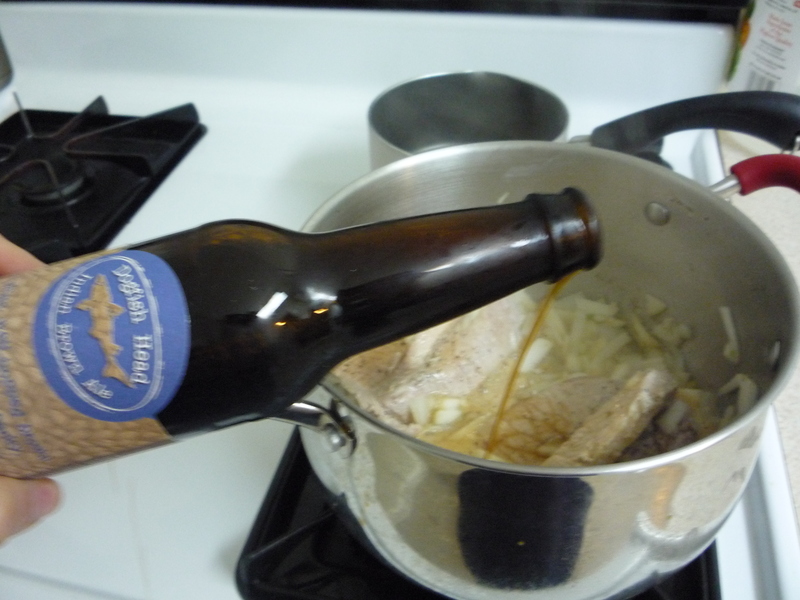 Plus you can’t go wrong with beer, pork and kraut! Mmmmm. 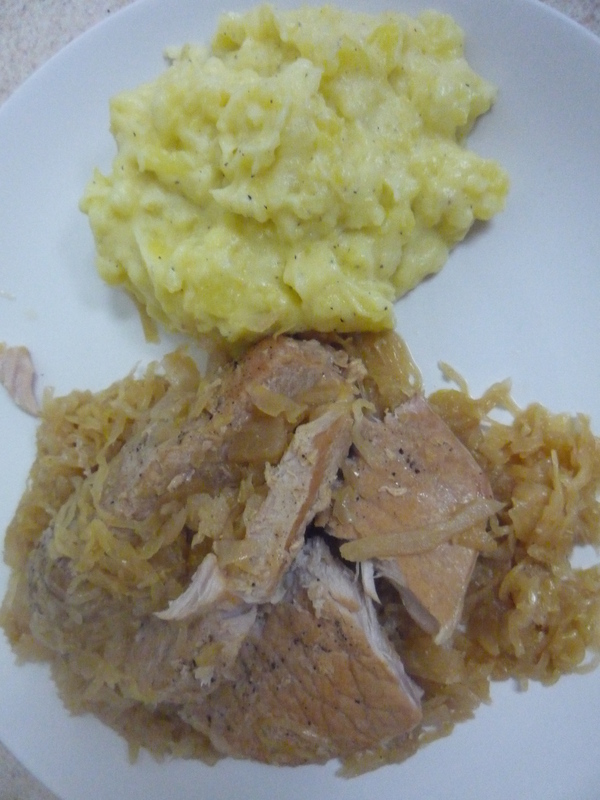 I love pork with saurkraut and apples. YUM. Looks delicious! This looks SO good and sadly appropriate for this cold weather!